Former US President Jimmy Carter says President Donald Trump has spoken with him about China because the current US leader was worried that Beijing is outpacing the US economically, saying America’s endless wars was helping China get ahead of the US. 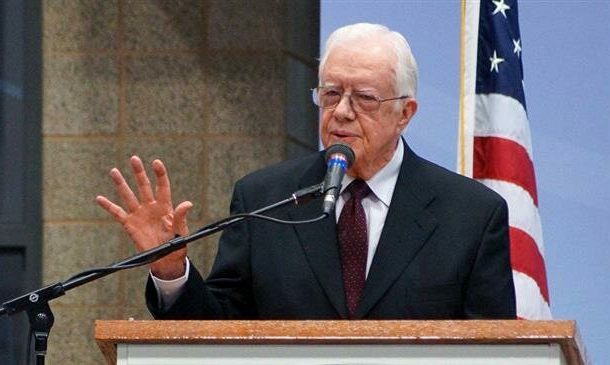 Carter, 94, said Trump called him on Saturday while speaking at his regular Sunday School lesson at Maranatha Baptist Church in his hometown of Plains, Georgia. The former Democratic president said China was getting ahead of the US because Washington has been at war with other countries for most of its history, while Beijing was taking advantage of peace to invest in its economy and industries.